Next year, Sky Arts will broadcast a feature length documentary Hansa Studios: By The Wall 1976-90, documenting the historical, cultural and artistic significance of the legendary West Berlin Studios. Above, you can watch a trailer for the documentary, which will be broadcast on 10 January, the second anniversary of David Bowie's death. 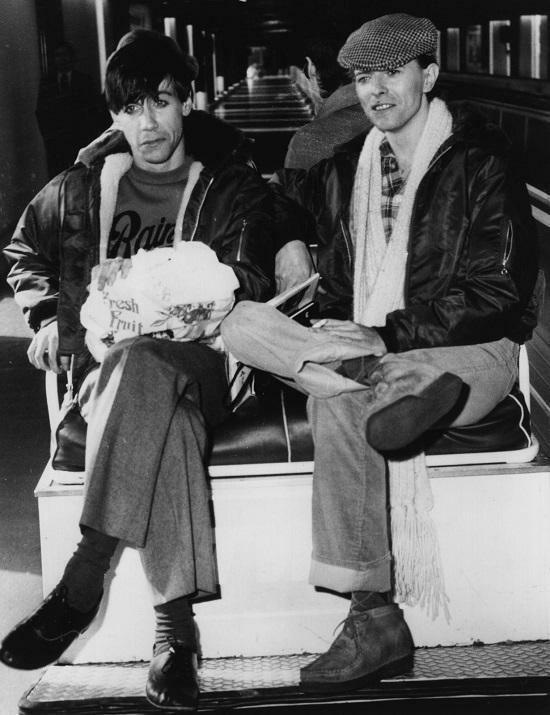 Below, you can see a rare shot of Hansa regulars Bowie and Iggy Pop. Bowie recorded two of his fabled 'Berlin' albums Low and Heroes in the studio, which was located just metres from the Berlin Wall. Iggy Pop's 'Lust For Life' and 'The Passenger' were recorded there, as was U2's Achtung Baby. The likes of Depeche Mode, Nick Cave and The Bad Seeds, Siouxsie and the Banshees, R.E.M and more also recorded some of their finest work there.